A row of Mustangs, seen here in twilight Thursday, held a commanding presence on the Warbird Ramp for most of Sun ‘n Fun. To say the scale of Sun ‘n Fun is staggering doesn’t quite do the annual fly-in and airshow justice. 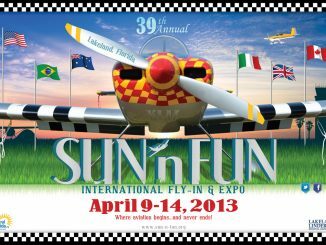 For one week in April, over one thousand aircraft—and hundreds of thousands of guests—visit the Sun ‘n Fun campus. 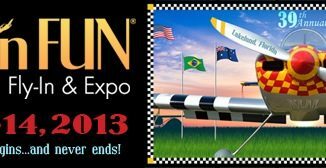 Held for one week in April at Lakeland Linder Regional Airport in Florida, the event is larger than any other in North America, excepting only EAA AirVenture Oshkosh. What’s more, the organization is a nonprofit benefiting aviation education and outreach. Of the over 1,000 aircraft on-site Saturday, more than 130 were warbirds. Guest attendance, still to be fully tabulated, is expected to exceed last year’s count of roughly 200,000, with visitors from over 70 countries. It’s a testament to the professionalism of aviators, the Sun ‘n Fun volunteer staff, and the Lakeland Linder airport team that an event of this scale runs so smoothly. At no point during Sun ‘n Fun are things ever still. When the airshow isn’t on, aircraft are constantly arriving and departing, while ultralights, powered paragliders and helicopters buzz about to the South of the airport. 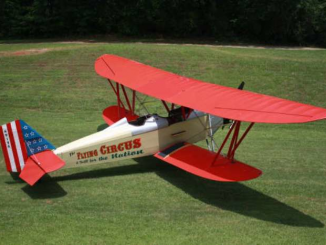 Air traffic at Sun ‘n Fun runs the gamut, from homebuilt aircraft to fighter jets and tankers. When watching the skies, it doesn’t take long to spot something interesting. By early afternoon, the airspace closes, and the performers take over. 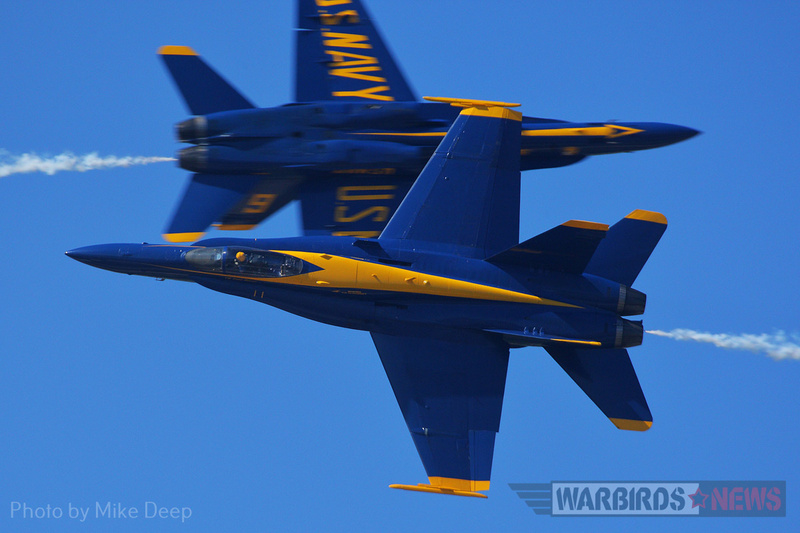 This year’s headlining act in the airshow was the US Navy’s Blue Angels, along with performances by the US Air Force’s F-16 demonstration team, the AeroShell Aerobatic Team, the Geico Skytypers, Michael Goulian, Julie Clark, Jessy Panzer, and more. 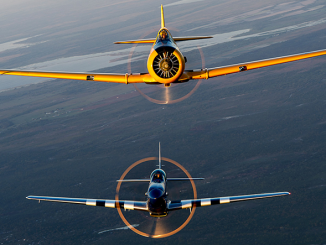 However, center stage this year belonged to the warbirds, led by a vanguard of P-51 Mustangs. 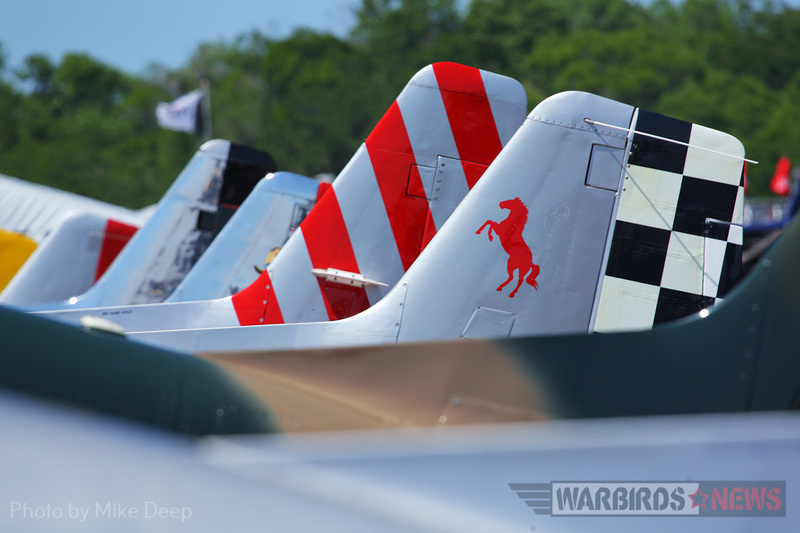 The tails of gathered Mustangs at Sun ‘n Fun as seen on the Warbird Ramp Thursday. 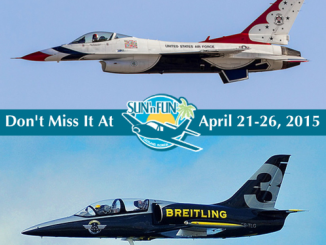 Sun ‘n Fun has long included a sizeable warbird section in its static displays and in its airshow, with frequent appearances by T-28 Trojans, T-6 Texans, P-40 Warhawks, and B-25 Mitchells. 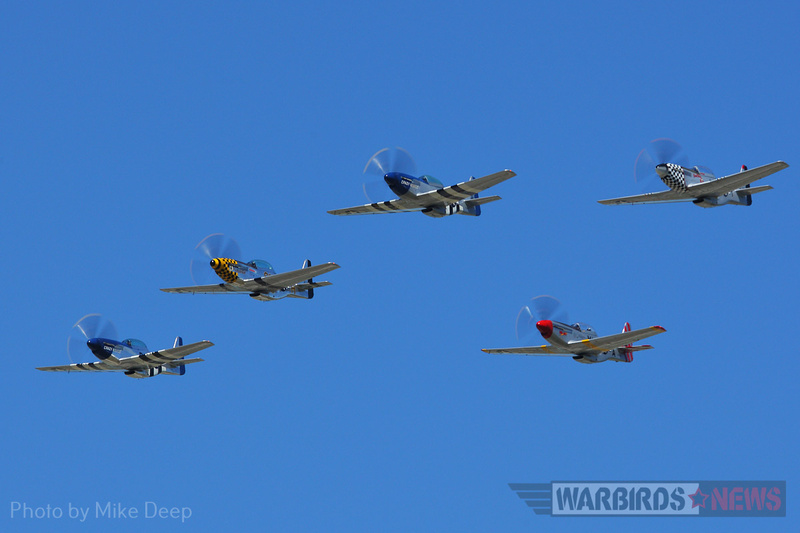 This year’s addition of ten P-51 Mustangs in Thursday’s airshow was special. The iconic World War II fighters flew together and in formation with period bombers, sights few were likely to ever see in this century. 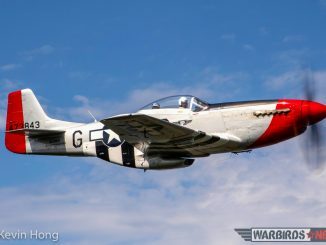 The Mustangs (17 in total, with only a subset participating in the airshow) were gathered at Sun ‘n Fun in celebration of the fighter’s 75th anniversary, having entered service with the RAF in 1942, and also in recognition of Stallion 51’s 30th anniversary. The Kissimmee-based Stallion 51 offers P-51 demonstrations and flight training, and many of the Mustang pilots flying in the show learned to fly with the organization. There are two dual-cockpit TF-51 Mustangs in Stallion 51’s care, Crazy Horse and Crazy Horse². Both planes are a familiar sight at Sun ‘n Fun, with Stallion 51 owner and pilot Lee Lauderback frequently performing his solo routine in the airshow. Notably, this year’s show marked Lauderback’s final heritage flight, a program in which he was one of the first civilian pilots. In that flight, Lauderback flew Crazy Horse² in formation with an F-16 Fighting Falcon, an A-10 Warthog, and a second P-51 Mustang. Lee Lauderback pilots ‘Crazy Horse²’ in his final Heritage Flight on Thursday. 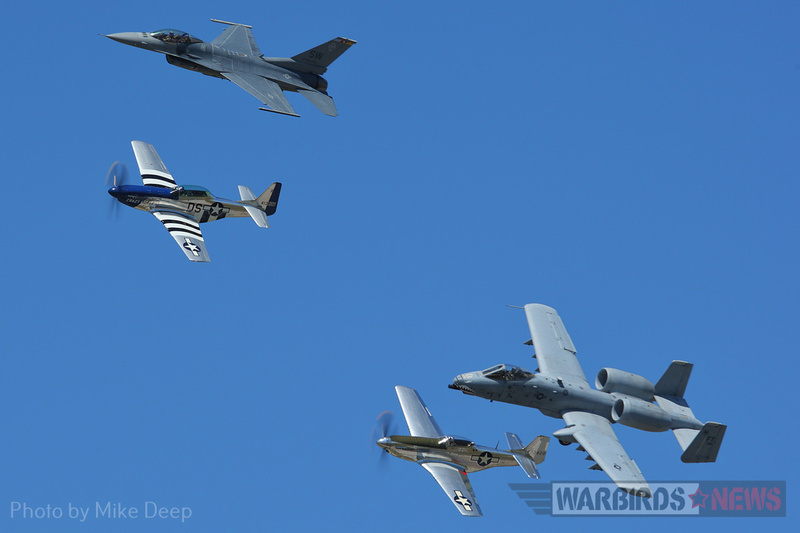 Two Mustangs, an F-16 Fighting Falcon, and an A-10 Warthog made up this special formation. Art Nalls performed in his Sea Harrier, the only such privately operated plane in the world. Nalls demonstrated the Harrier’s characteristic thrust vectoring capability, slowing to a hover at show center before bowing the aircraft to the crowd and performing a vertical landing. 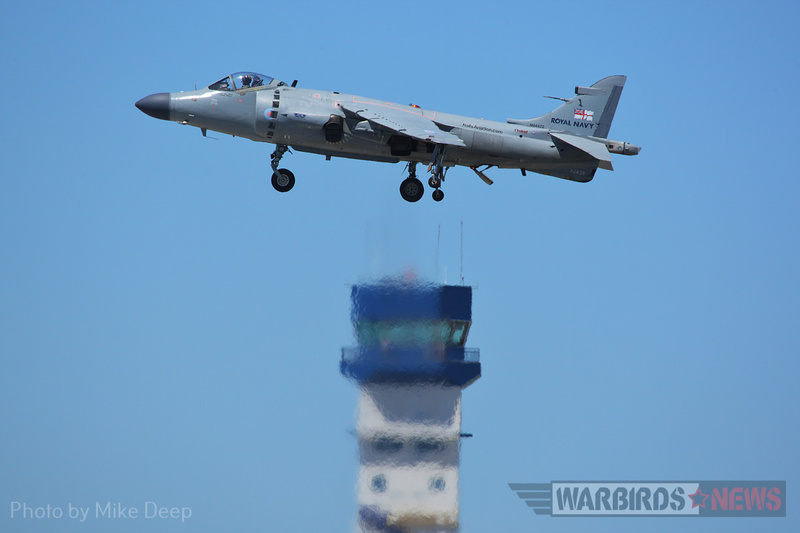 Art Nalls hovers over show center in his Sea Harrier during Saturday’s airshow. The Air Force F-16 demonstration team pounded the airspace with a series of high-speed, high-G maneuvers, before transitioning seamlessly into the heritage flight with an A-10 and P-51. An assortment of privately owned L-39 Albatros were flown to the show for static display. Sneaking in amongst them were several F-5 Tiger IIs from the Navy’s VFC-111 aggressor squadron, two jet black T-38 Talons from the Air Force’s 9th Reconnaissance Wing, and a privately-owned CF-5 Freedom Fighter. Nearby MacDill AFB provided a KC-135 from the 6th Air Mobility Wing for display and cabin tours. Alongside it were a C-17 from the 97th Air Mobility Wing out of Atlus Air Force Base and a WC-130 from the Air Force Reserve Hurricane Hunters. The Navy also provided two F/A-18F Super Hornets from VFA-11, a P-3 Orion, and a P-8 Poseidon for display. On Thursday, the Polk County Veterans Council conducted its third Flight to Honor mission. The program flies World War II, Korean War, and Vietnam War veterans to Washington, D.C. Each veteran is accompanied by a volunteer sponsor, and the group is taken on a tour of memorials around the capital. 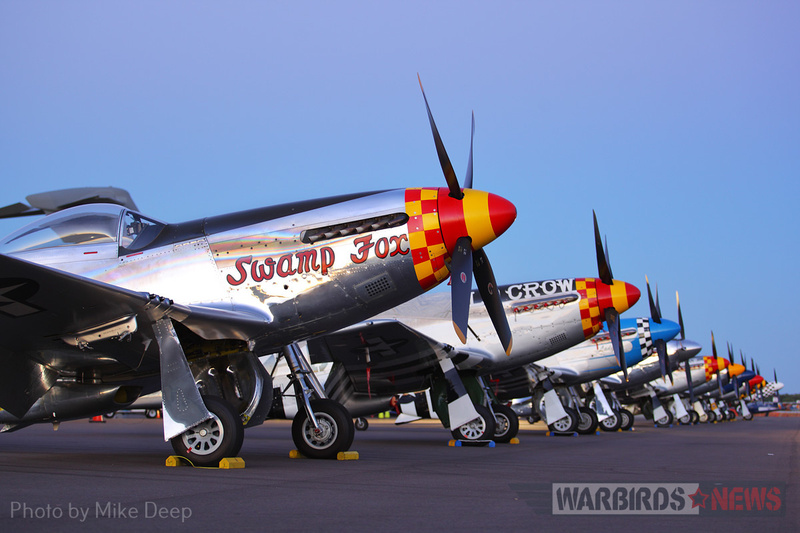 The flight returned that evening to a hero’s reception on the Sun ‘n Fun Warbird Ramp. There, friends, family, volunteers, JROTC, Scouts, local law enforcement, and a live band welcomed to the veterans home, as the setting sun and rows of aircraft provided a dramatic backdrop. One of the hazards associated with hosting a week-long event in Florida is the weather. Potentially severe weather, associated with an approaching cold front, threatened to disrupt the event mid-week. Sun ‘n Fun is no stranger to adverse weather: In 2011, a tornado struck during the event, damaging dozens of aircraft. With the threat of stormy weather looming, the gathered Mustangs cleared the Warbird Ramp and sought shelter. Luckily, the frontal passage was uneventful, with rain limited to the overnight hours and no severe weather reported. Cool, breezy weather with clear skies took hold for the rest of the show. 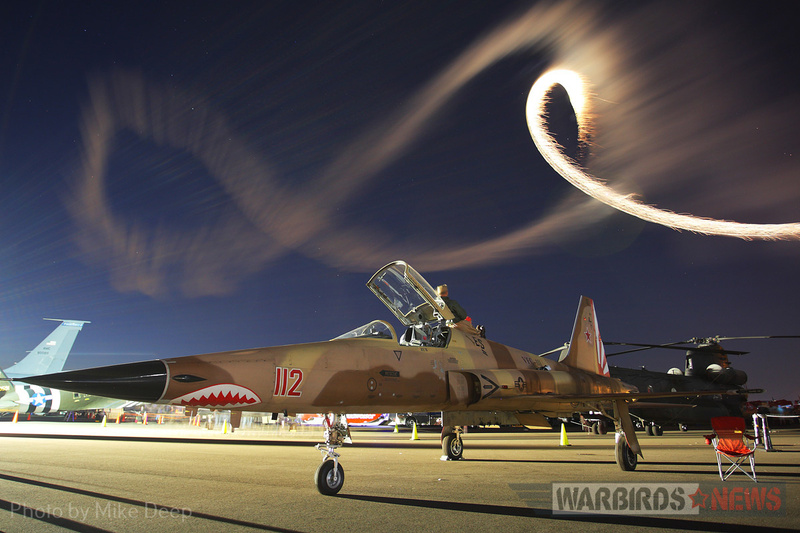 This pilot had a front seat to Saturday’s night airshow atop a VFC-111 F-5 in aggressor colors. As if there wasn’t enough to take in, Sun ‘n Fun also puts on a night airshow each year, complete with fireworks on the ground and on the planes. This year’s performers included AeroShell, Gene Soucy, Julie Clark, Manfred Radius, and Bob Carlton. 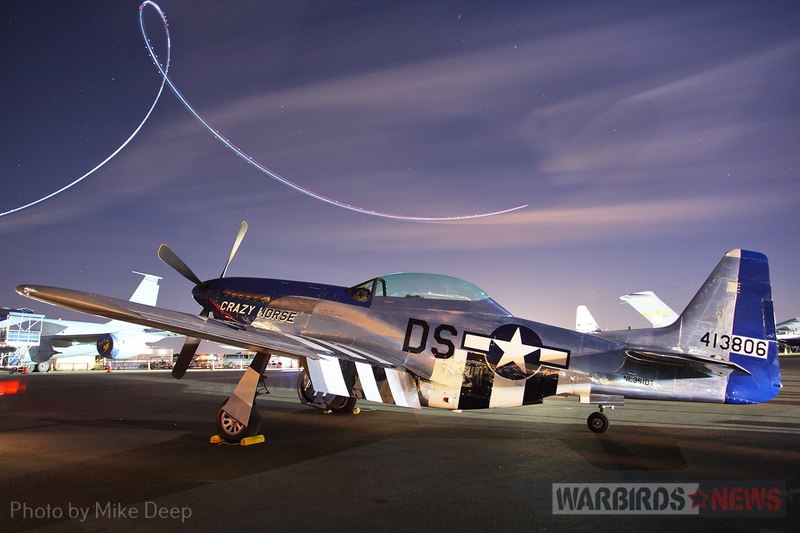 Brightly lit planes flew loops and launched fireworks, providing a beautiful backdrop against the gathered aircraft on the Warbird Ramp. 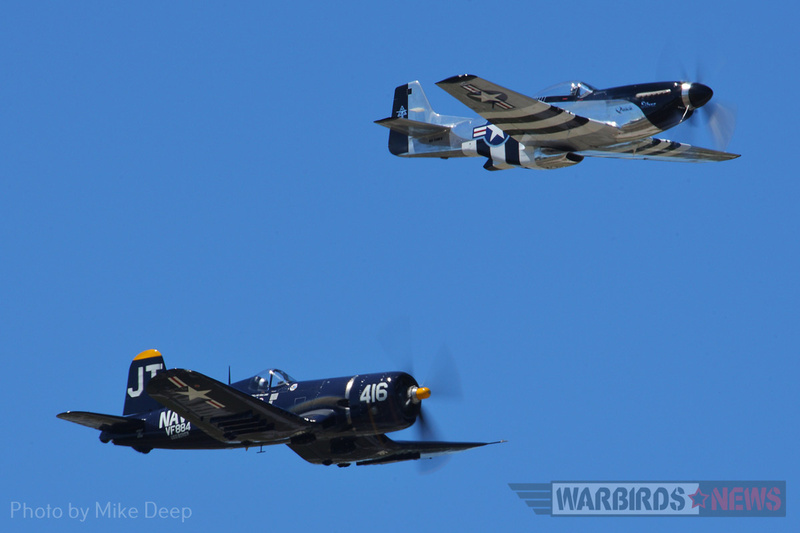 Jim Tobul’s F4U Corsair ‘Korean War Hero’ and Scott Yoak’s P-51 ‘Quick Silver’ fly in ‘The Class of ‘45’ during Saturday’s airshow. The Blue Angels perform an opposing knife-edge pass on Saturday. Though they were billed as a weekend performer, the Blue Angels flew practice demonstrations on Thursday and Friday. 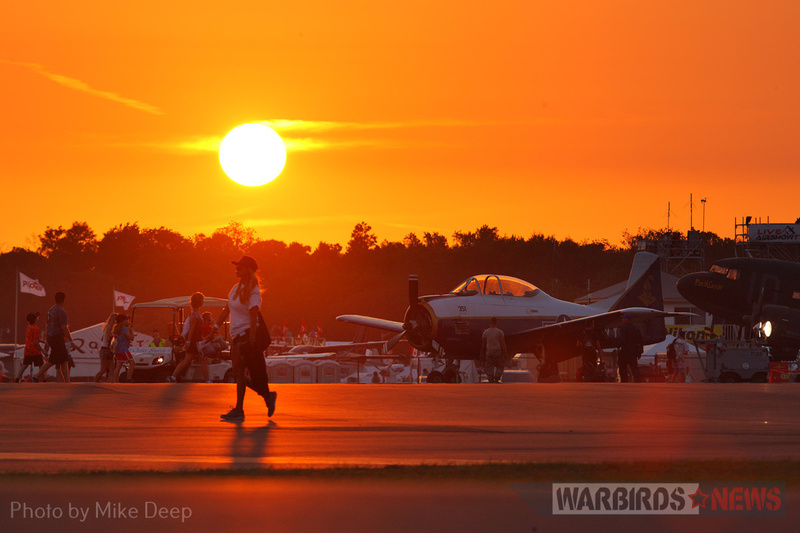 The sun sets on the Warbird Ramp Wednesday. Earlier that evening, the Mustangs gathered here were whisked away to shelter in anticipation of an approaching storm front. This year was my first visit to SNF! It was AWESOME!!!! I definitely will be back for SNF18!!! Event WELL DONE!! !